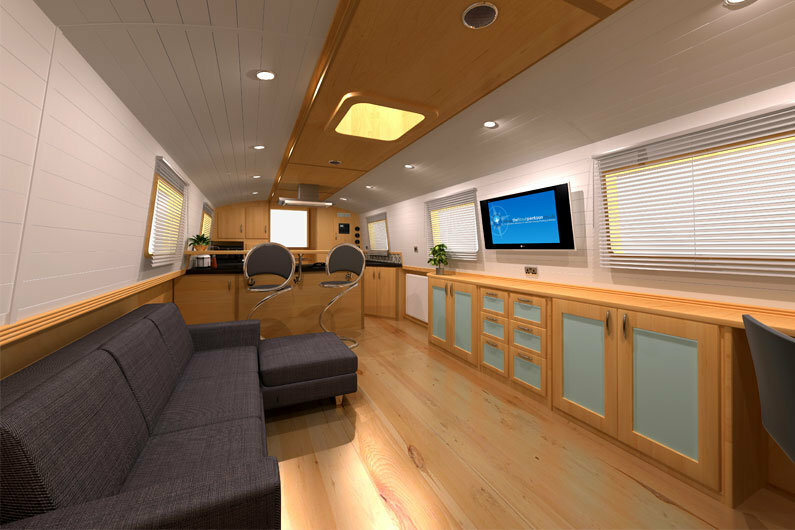 The Fit Out Pontoon’s approach is truly unique, our business is split into two independent divisions; our design studio specialises in canal boat design projects catering for both private and trade clients and our production facility focuses on building bespoke canal boats. Our canal boat design division is proud to be the UK’s leading Canal Boat Design Consultancy. Excelling in the translation and communication of customer ideas, The Fit Out Pontoon produce industry standard 2D & 3D designs ready for manufacture. Customers range from our build clients, to private & trade clients, those looking to buy/design sailaways and even those looking to plan a refit. 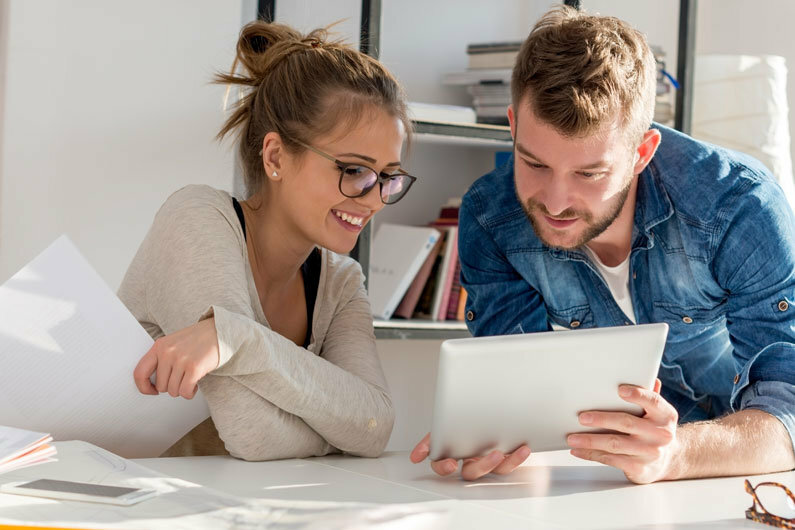 All our potential build clients initially go through our ‘All-In-One’ Design service which provides the perfect foundation for a successful build. Our boat building facility is geared more towards the high-end bespoke narrowboat and widebeam projects, however The Fit Out Pontoon work a number of trade build partners allowing us to cater for a wider range of build projects suited to varying budgets. 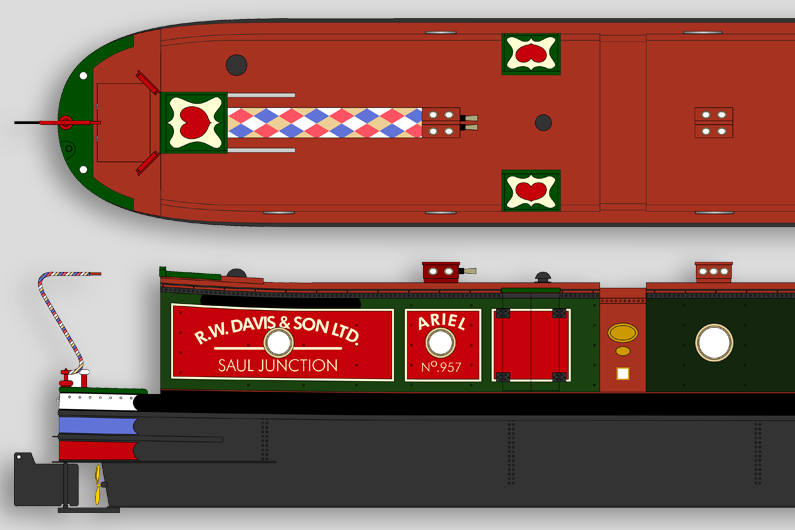 Invalueable for anyone designing and planning their own canal boat layout, they’re the perfect aid for designing/drawing to scale. Simply select your canal boat criteria and we’ll produced, print and send you a series of 1:25 scale plan, side & end views matching your requirements. A professional canal boat design service which provides the ultimate foundation for managing your build/production process. We illustrate concepts in a simple, yet comprehensive manner. Eliminate client/builder misinterpretation, maximise production efficiency and prevent costly mistakes. A colour scheme design service for new builds and canal boats in need of repaint. Using a digitally re-created version of your boat we’ll experiment with different layouts and colour schemes until we arrive at the perfect solution, then we’ll print you a high resolution visual to take away with you. Located on the border of Nottinghamshire and Derbyshire The fit Out Pontoon’s team of experienced boat builders and fitters transform fantastic designs from concepts into realities. 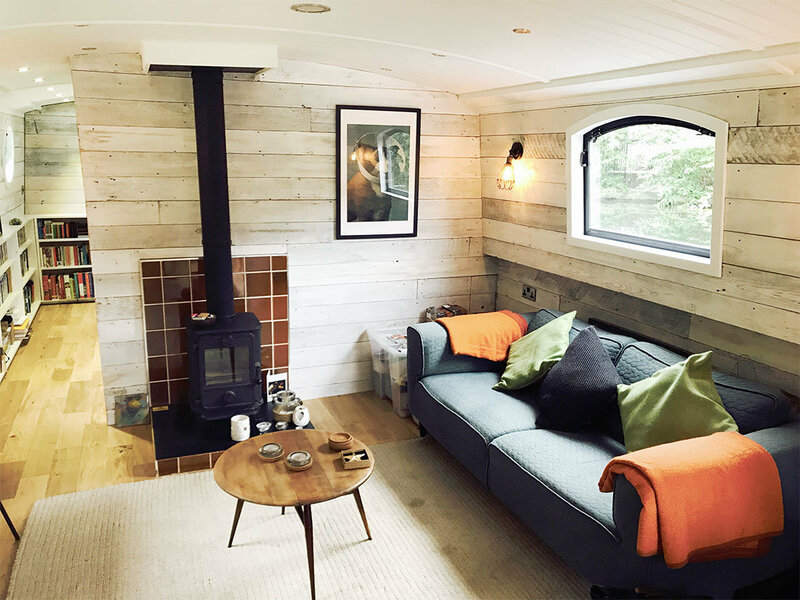 All our narrowboat and widebeam fit outs begin with our industry leading design consultations where we’ll take your ideas, develop and refine them and tranlate these into manufacture drawings for our team of builders and fitters to work from. Buying a canal boat is a substantial investment, one we feel our clients should direct. Our aim is to design and build dream boats individual to client styles, tastes and requirements. We love creating truly unique spaces and because of this we don’t have rules or restrictions, we’re open to anything! If you’re in the market for a bespoke canal boat you might well have just found the perfect builder. 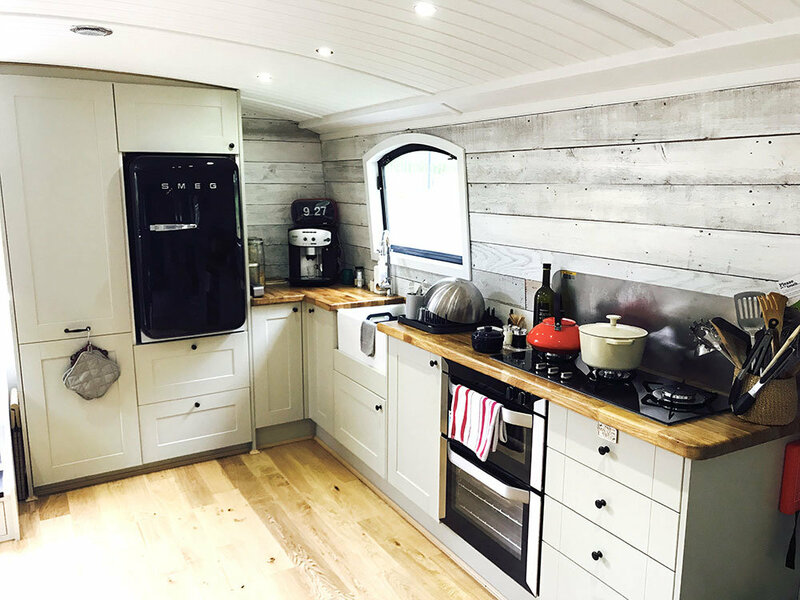 Hopefully by landing on this web page you’re looking at purchasing a narrowboat or widebeam sailaway, because The Fit Out Pontoon offer sailaway buyers the only professional design service which provides the ultimate foundation for you to successfully manage the fit out process. If you start your project by investing in The Fit Out Pontoon not only will you perfect the planning and design process, you’ll continuously save valuable time and money throughout the fit out process, maximising your chances of fitting out within budget. 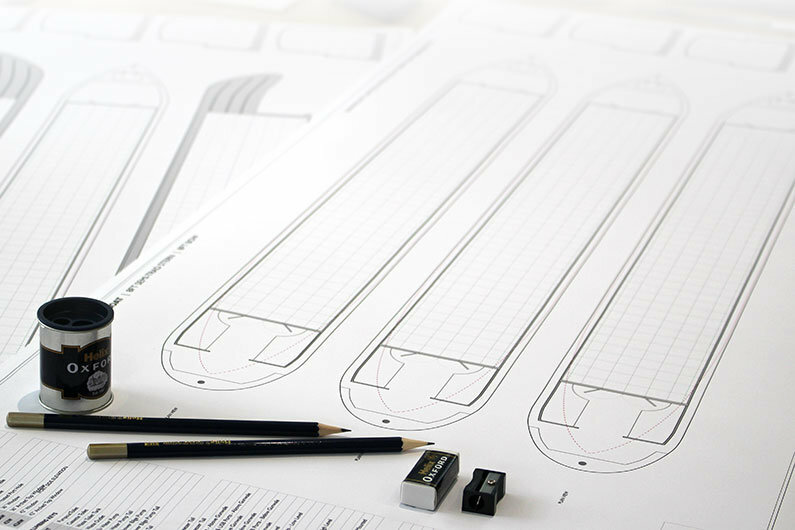 Our Sailaway Design & Planning Service brings you the instant benefits associated with having expert first hand knowledge of the canal boat design, planning and fitting out processes. Our ‘Sailaway Design & Planning Service’ has been developed to ensure you avoid those innocent yet inevitable mistakes made from lack of knowledge and/or experience. The Fit Out Pontoon’s ‘Sailaway Design & Planning Service’ will help you finalise the specification, importantly ensuring the on-board equipment is aligned with your intended usage. We’ll take you through our comprehensive canal boat design process which includes unlimited layout & development drawing revisions. Once the design is finalised we’ll produce you a 1:25 scale detailed production drawing including the specification, layout, electrical & plumbing schematics, full dimensional detail and a separate 2D paint scheme illustrating exactly how you’d like the boat to look externally.